Histoire d’Orangers comes so close to conveying this feeling that I can bid goodbye to Néroli. Perfumer Marie Salamagne who worked on L’Artisan’s perfume is a perfect nose for the task. Her style is elegant, but without an overly dainty, fussy impression. She confesses to associating colors with scents, and as you try Histoire d’Orangers, notice how easy it is to become a synesthete. At first, the blossoms of Histoire d’Orangers appear green and so translucent that you can almost see the fine veins. As the perfume warms up, the blossoms become yellow and sweeter. Wait a bit longer, enjoying the petal rainfall, and the pallor of the flowers will be tinged here and there by a deep orange. Even in the drydown where the orange flower is usually exhausted, Histoire continues to hum its luminous floral tune. Histoire d’Orangers doesn’t turn too heavy or too indolic. The tea accord gives the orange blossom a fresh sensation, but it still feels velvety and soft. It’s a cologne with the lingering plushness of a parfum. Sometimes in my perfume courses I’m asked why if the natural essences are so delightful, why can’t we just dilute, say, orange blossom absolute or neroli essence and wear them? Of course, we can, and I sometimes do. But the beauty of a true perfume is its very unnaturalness. It crosses into the realm of fantasy, allowing me to experience not only the beautiful scent but also its creator’s idea of it. I’m after a painting and not a digital snapshot. Histoire fulfills that craving. It’s an orange blossom painted by Matisse. To be worn by men and women–beauty doesn’t discriminate. 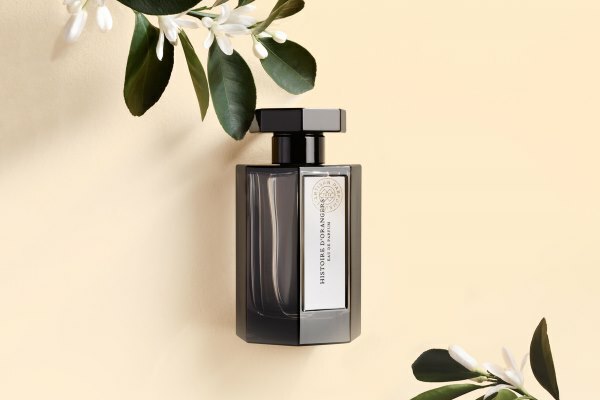 L’Artisan Parfumeur Histoire d’Orangers includes notes of neroli, white tea, orange blossom, musk, tonka bean, and amber (ambroxan). Although I’m happy with Histoire d’Orangers, it doesn’t mean that I don’t want to continue exploring other orange blossoms. So, please share your favorites. Nick: The simplest things are hardest to realise. I could not agree more. For me, it really is hard to pick a perfect so-called soliflores, especially of neroli or vetiver. And although time-tested classics never let me down, I am always on the prow for novel interpretations of these. It is interesting to see how they are shaped and embellished. Cornelia Blimber: When I am in the mood for that kind of perfume, I reach for Après l’Ondée or L’Heure Bleue. Bela: As you know, V, I adored and wore SL Fleurs d’Oranger for several years (from 2002) — until the formulation was modified and it became sweet and sickly. Cornelia Blimber: Same here, some bottles are 25, 30 years old and still in good shape. (dark, unheated room, in their boxes). Inma: Hello! I also Love “I’m after a painting and not a digital snapshot”. It is something I am starting to experience with perfumes and that has a resonance in so many other ways of expressing ourselves. These days I’m next to the sea in the south of Portugal. I’m paying a closer attention to what I smell in this part of the world. maja: I was looking for SL Fleurs D’Oranger after using up several samples over time but now your comment about its sweetness is making me rethink my decision to buy. Aurora: Such a lovely review, now I am curious to try Histoire d’Oranger and so pleased for you that it can stand for AG Neroli. Victoria: It still does, but it seems milder. I’m not as sensitive to cumin as some, though. Eudora: Dear Victoria, I am on the other side…I think I am very sensitive to cumin. Correct me if I am wrong: I have a love-hate relationship with two fragances, and both bother me because of cumin, Declaration and SL Amber Sultan. I love love both but the cumin… Is that possible? Klaas: I was looking for a nice Neroli this summer, and settled for Néroli Doré by Hermes. it sparkles and it fizzes, I love it! I also like Neroli Outrenoir from Guerlain. It’s a glorious, glorious Neroli, très Francais, not too sweet or oriental, but oh the price…..
Klaas: Haha, now we’re channeling…….isn’t this wonderful? Klaas: It was the same for me. 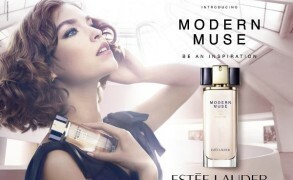 I ‘discovered’ Guerlain in my local, small town perfumery in the 80’s, at the tender age of 14. The plush, theatrical scents immediately appealed to me…..they were expressing all the mysterious things that were haunting my troubled teenage soul 😉 I loved Habit Rouge (because I didn’t dare to wear Shalimar as a boy), Mitsouko and Chant d’Aromes. The ‘mellower’ ones. Cornelia Blimber: Vol de Nuit was one of my signature scents in the 60s and 70s. I loved that dark, spicy perfume, and its dry violets; I remember it very well. Cornelia Blimber: Hallo Klaas! Wearing perfume was rare at the time, here in Holland. Ladies had one perfume, worn on special occasions. Mostly Miss Dior. My mother and I were laughed at, but we wore our perfume, our motto was “de halve wereld lacht om de rest, om alles lachen is het allerbest”. That was in the 60s. Later it was more accepted. You are right, Vol de Nuit was spectacular. I had everything: lotion, eau de toilette, extrait de parfum. hélène byll: I am a neroli junky ! I will give Histoire d’Orangers a try – quite worrying about the amber note though. The cheapest concoction I wear almost everyday : Néroli Yves Rocher + 4711. Any body products recommendations ???? Victoria: Roger & Gallet and Yves Rocher have excellent orange blossom scented products. Actually, one of my favorites is a bar of soap I get from 2 euros at the beauty shops here in Belgium. I don’t remember the brand, since it comes unwrapped, but it really does smell wonderful. SilverMoon: Victoria, so beautifully said: wanting a painting rather than a digital snapshot from a perfume. bregje: my favourite orange blossom so far is the sparkling opening of Knot. It lasts really long on my skin and in my clothes and i always get compliments when i wear it. It just makes me feel sunny and bright. SL smelled a bit bitter on my skin when i tried it years ago.But the comments may have persuaded me to try it again. OnWingsofSaffron: Have you tested “Dilettente” by Hiram Green? 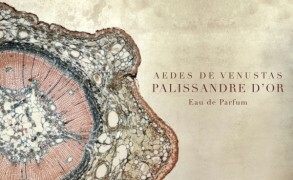 According to his website it’s “based on a triptych of orange flower, petitgrain and essential oil of orange”.